MythBusters: Dreadlock Styles Lack Versatility? If the plethora of dreadlock styles available on YouTube hasn’t already swayed you. Read on for some additional reinforcement… Sometimes people (women in particular) are intimidated about getting dreadlocks because they believe that locs are a permanent style that lacks versatility. But just as one example, Sisterlocks offer tons of versatility because their small size allows you to utilize a curling iron and you can pretty much do all the styles that women with relaxed hair can do. Traditional dreadlocks cannot be curled like sisterlocks but can be curled using Bantu Knots, Rods, Rollers for Dreads and Pin Curls. Dreadlock hairstyles include everything from buns, bangs, gym loc, barrel roll up-do, to loc Mohawk, twists swoop, coiling, curls, pipe cleaner and braid outs. Truth be told, the majority of styles that can be created with relaxed hair can be created with dreadlocks as well. It does not matter whether your dreadlocks are black, blonde, brown, or highlighted, there are a variety of loc hairstyles you can fashion with them. You can put long dreadlocks up into a casual up-do or simply pull them back with a natural hair accessory, letting your dreads hang or putting a mix of colorful beads in some of the dreads. Try an up-do. You can achieve an elegant and neat look by twisting your dreadlocks backward in cornrows. 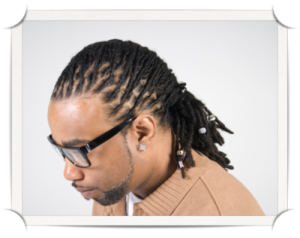 Secure the ends of your cornrows with rubber bands and pin them up in the back or in a ponytail with a stylish loc tie. You can rock your dreadlocks in curly and wavy styles too. You can do this by doing Bantu knots. Bantu knots are knots created when small sections of locs are twisted together and wrapped tightly in “cinnamon roll-like” spirals close to the scalp. These knots may be secured with a rubber band or by placing a bobby pin at the base. When bantu knots are taken down, they create beautiful spiral curls and can add volume to dreadlocks. You can braid your dreadlocks and try the crinkle method to get your curls. Braid small sections of your locs together while they are wet and allow them to air dry in the braids. Once they’re completely dry (may take a day or two depending on how long your locs are), unbraid them to reveal big voluminous curls. Pull your locs back into a bun or side bun. Let some of the locs hang in front of your face and pin them back in a side bang. You can take your locs to the next level by trying out an edgy Mohawk (a.k.a. Faux Hawk). 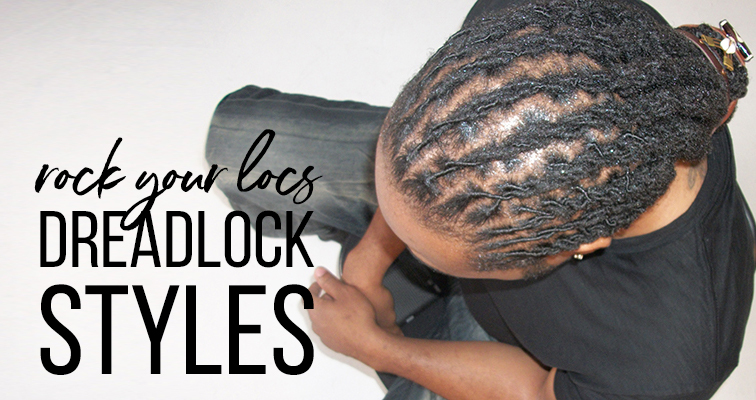 Braid the locs on the side of your head and do a French roll in the middle. As with any other hair texture, you are only limited by your own creativity. Dreadlocks are low maintenance and offer many styling options. Go ahead and have fun with it…try some of the dreadlock styles you read here and post a picture on our Facebook page to show us how it turned out!